Syfy's forthcoming 12 Monkeys TV show is actually more than 50 years in the making. If you read the previews, you'll know that the show is based on the 1995 Terry Gilliam flick starring Bruce Willis. What you might not know is that that the Gilliam movie is based on a much older, much weirder short film by French director Chris Marker. 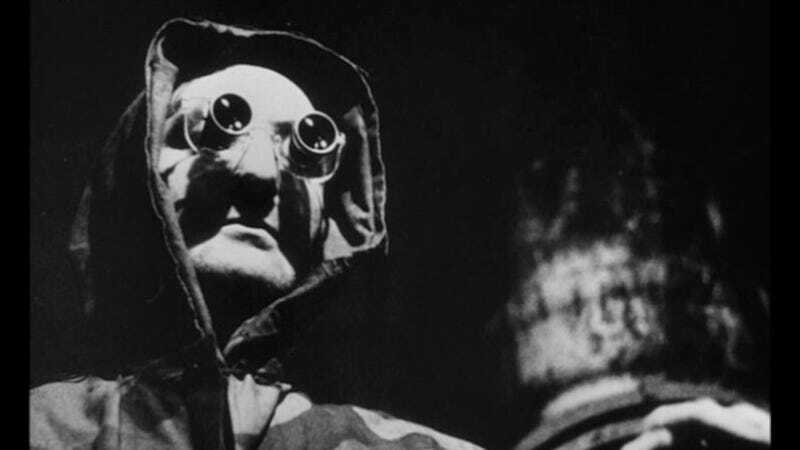 The underlying premise of Marker's 1962 26-minute science fiction short, La Jetée (Hulu), is very similar to the premise of Gilliam's 129 minute 12 Monkeys: A man lives underground in the post-apocalypse and is haunted by an early life vision of a murder, which turns out to be the death of his older time traveling self. The execution of the two flicks couldn't be more different. Gilliam's take is a quirky sci-fi thriller, whereas Marker's is an art house experiment composed entirely of stills and voiceover narration. Both are great! And bizarre! It's curious to see the initial idea expanded from just under a half-hour to a 12 episode series. It's not just the opposite of the original. And not just because the show will be many many times longer than the original. Marker's brainy concept stands in sharp contrast to the chewy consumable that's likely to air on Syfy.